3 Bedroom Terraced House For Sale in Lewes for Guide Price £350,000. 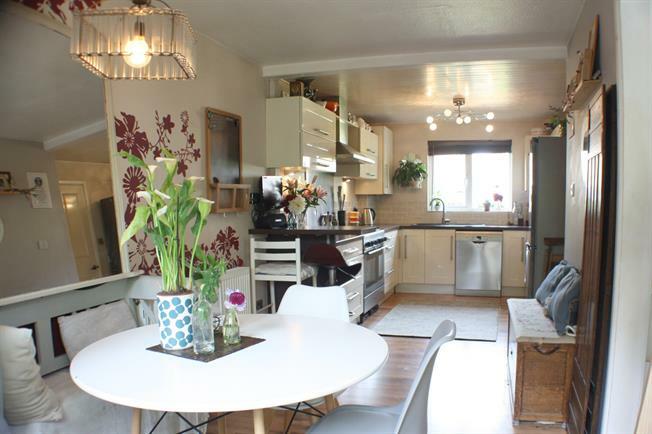 Freeman Forman are delighted to market this charming and deceptively spacious family home. Accommodation includes an entrance porch with large storage cupboard, shower room, dual aspect fitted kitchen/dining room overlooking both front and rear gardens, living room and under stairs storage area. Stairs ascend from the entrance hall to the first floor to provide three double bedrooms, a family bathroom with skylight and two large storage cupboards. Externally the property benefits from two bespoke gardens to front and rear. The back garden has rear access and is fence enclosed providing an array of seating areas amongst the shrubs, trees and flower beds. Further benefits include double glazed windows and gas central heating. Freeman Forman would strongly recommend a viewing of this light and practical home.